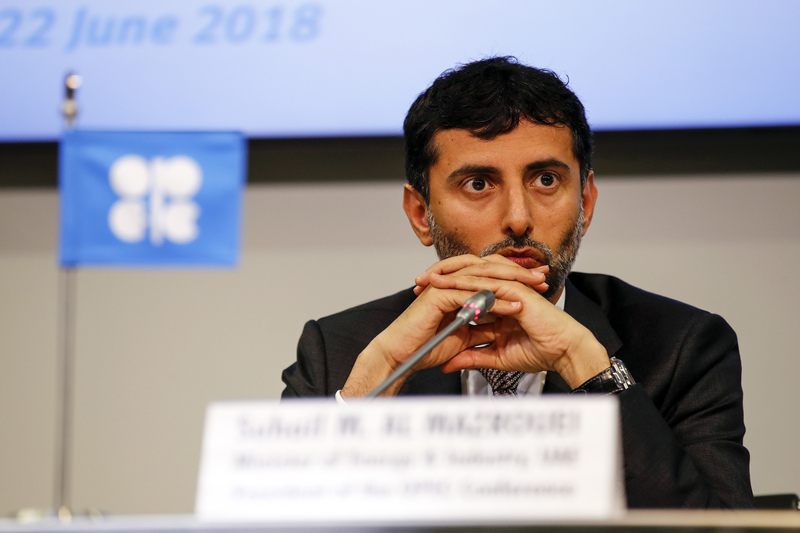 Opec and its allies have agreed to cut global oil production by 1.2million barrels per day in a bid to end the recent oil price fall. The cartel finally came to the agreement after extended talks in Vienna. Opec itself will shoulder 800,000 barrels of the burden, while partners including Russia will take the remaining 400,000. It goes against the wishes of US President Donald Trump who had urged the organisation to increase production to keep prices low. The final deal was considered a surprise since discussions had earlier suggested a cut of just 1million barrels. Petroleum economist from Aberdeen University, Alex Kemp, said traders will now be looking for detail on which countries will bear the main cuts. He said: “The market makers will be looking for further concrete evidence the cut will actually happen. “They will be initially a bit cautious until some clarity is achieved on who is cutting and when. Iran secured exemptions from cuts as it was affected by recent US sanctions. Callum MacPherson, head of commodities at financial services firm Investec, said today’s decision could eventually lead to an oil recovery of $70+. He said: “With the attention increasingly focused on the Saudi conundrum, the market (which has reacted positively so far) seems to have forgotten Iran, where the fall in oil exports accelerated last month. “Today’s OPEC+ cut, reported to be 1.2m b/d – which is still subject to ratification in the closed session currently underway – could put the market into a moderate deficit in 2019 when the continued fall in Iranian exports, and recent cuts announced by Canada, are taken into account. While it might take the market some time to digest this development, there is scope for an unwinding of the sell-off we have seen in recent weeks, which might see Brent returning to a 70$/b plus level. “In its November report, the IEA estimated the call on OPEC in 2019 to be 31.3 mb/d, whereas it estimated OPEC production to be 32.99 mb/d (in the month of October). This suggests a surplus of 1.69 mb/d in 2019. However, much of the Iranian production included in recent figures is not able to leave Iran (hence the drop in Iranian exports in November). “When these figures are added to Canada’s recent cut announcement of around 300 kb/d cut, the effect might be to increase the call on OPEC in 2019 to over 32 mb/d, whereas the cut announced today suggests OPEC (including adjustments for non-OPEC members) will produce somewhat less than 32 mb/d.